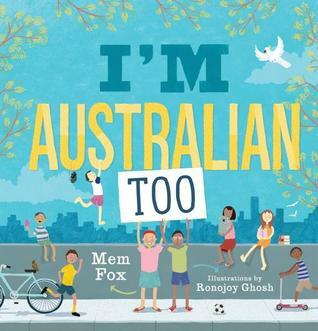 This entry was posted in Book Reviews: ALL, Default and tagged #aww2017, Australia, Australian Women Writers Challenge, Beautiful Books, Book, book addict, Book Lover, book review, books, bookworm, children's book review, childrens books, Cover Love, Mem Fox, multiculturalism, new release, Pretty Books, racial equality, Reader, Reading, review by Sarah "SacaKat" Fairbairn. Bookmark the permalink. This is so on my list for my nephews! I can’t believe she wasn’t allowed into the US!! I know! I couldn’t believe it when I heard. And your nephews will love it :-).